Update 14/02/2017 - separated baby defaults from skin defaults to make it compatible with a new upload; calibrated baby skin colour to better match toddler+ skin colour. My last upload, a The Sims 2 style alien skintone for our simmies, seemed rather popular, so I thought I might as well expand on that idea and convert that skintone for our actual aliens in Get To Work! It comes in a whopping 11 flavours, so hold on to your butts as I walk you through them! Oh, and keep your eyes peeled, there's a teaser for my next project hidden somewhere in the screenshots. There are 9 alien skintones in Get To Work, each of which has a corresponding default replacement package in "QahneAlienReplacement-Separate.zip", numbered and labelled accordingly. So, if I want all of my aliens with, say, lavender skin (tone no. 3) and green skin (tone no. 8) to have this replacement colour, I just plop the packages labelled 3-Lavender and 8-Green into my Mods/Packages folder. You can mix and match these separate replacements in any combination you'd like, so get creative! 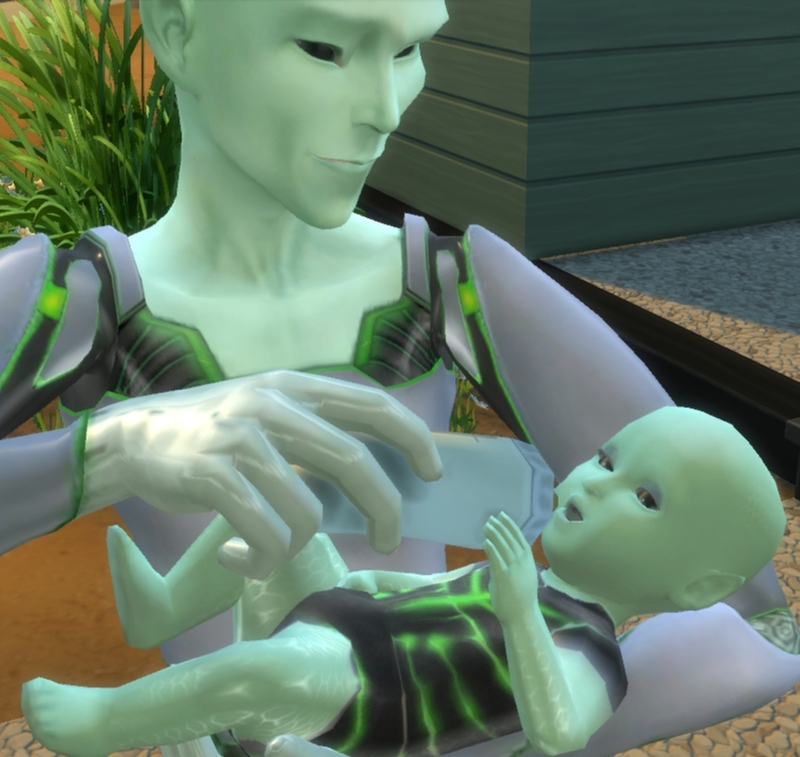 Also included are the five corresponding baby skintones, so your aliens will be popping out cute-as-a-button sprogs! Colours that are close together (e.g., green and emerald) use the same baby colour, it's all quite intuitive as to which baby package matches your chosen skin combination. Naturally, toddlers and children also get the minty treatment. Of course, having nine packages to handle if you want all of your aliens minty fresh is a bit cumbersome, so there's also a package including all of the replacement tones combined, so all of the Get To Work skin colours will be minty green! Just don't use this in combination with the separate packages, as they'll conflict. You'll still have nine swatches, they'll just all be the same colour and lead to the same texture. This also includes all of the baby defaults combined into one package. 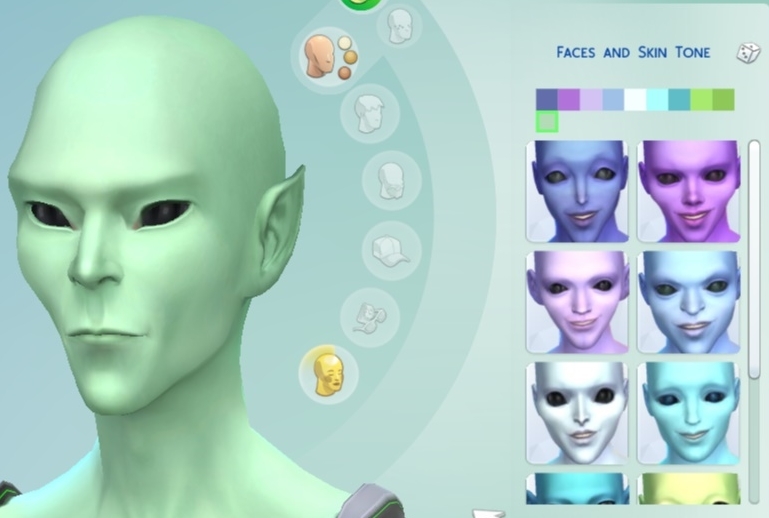 And an extra for those of you that want to keep the Get To Work skintones but also want some TS2 goodness, I've included a non-default version of this skintone for aliens. 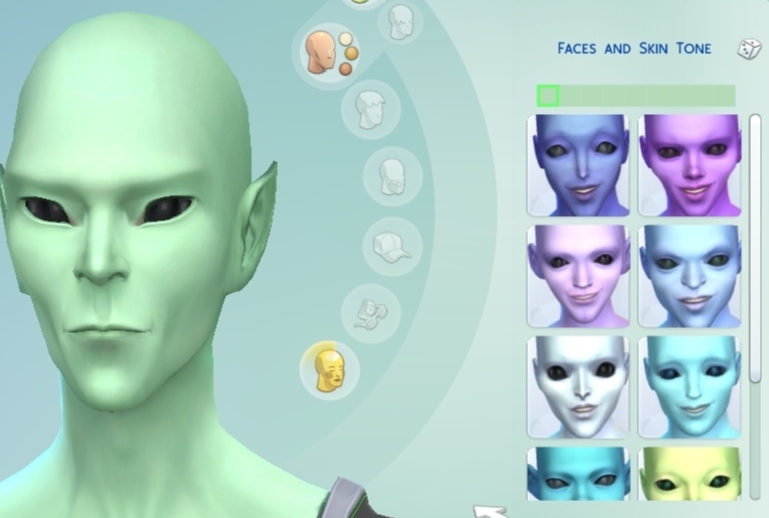 You can have this installed at the same time as the default replacements, and it won't conflict with any other mods, however your aliens will not pop out minty babies (unless you also install the green baby package, available in the separate packages .zip), so keep that in mind while breeding your pixel dollies! Their offspring will inherit the minty gene, however The non-default option will appear after the nine default skintones. A final summary; you can either get the merged packages, replacing all nine alien skins at once, including infants, OR you can get the separate packages and pick and choose which tones you want to replace - each separate package includes the skin for children and adults, as well as separate packages for infants. They'll co-exist peacefully with the default aliens. Alternatively, snag the non-default version if you don't care about infants and want to keep all the default skin colours. And if you don't have Get To Work but want to have this skintone, fear not! It's available for human Sims here!